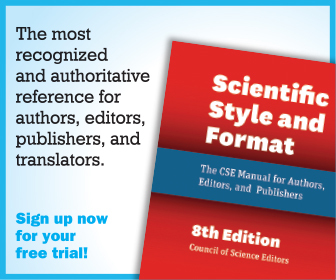 For scientific editors and publishers, language is the lifeblood of our careers. We spend a lot of time trying to get the words just right, and helping others to do so. And because many words morph or evolve rapidly, we sometimes face challenges not only in understanding what communicators are really getting at with a word (e.g., Did the author intend to submit a formal rebuttal or just a note asking for a more detailed explanation from the editor? ), but, as importantly, figuring out how to respond when a word’s usage is at best unexpected, or at worst, incorrect. Although this topic is worthy of exploration beyond the confines of this brief column (and we’ll tackle a few more indepth for an upcoming issue), for now, let’s look at just a few words that may require a double take. Much to the chagrin of many scholarly publishers, the distinction between post (the act of putting a document or information online; e.g., blog, social media, or preprint) and publish (in our context, an article appears in peer-reviewed journal or other formal publication after a process that involves editing, review, revisions) is becoming blurred, in some cases by design. Merriam-Webster offers secondary definitions of publish as “to make generally known; to make public announcement of”—so while in the literal sense, one could publish a tweet or a preprint, that construction and its implications are not in mainstream usage. Similar to the acts of posting and publishing, the distinction between these document types can be confusing if used interchangeably. Some intentionally refer to preprints or blog posts as articles (which implies a more finished, reviewed product), even if those items have never seen review, editing, or feedback—which means that the findings and facts may not have been validated. Conflict of interest (COI) is often interpreted as misconduct that has either already taken place or will take place on the part of authors, reviewers, or editors. A COI includes personal, professional, and financial interests and relationships to be aware of and, if necessary, to declare. The Committee on Publication Ethics (COPE) advises that publishers and journals should have clearly-stated COI policies. Historically, peer review is part of a process of journal article publication. While new models of peer review (e.g., open, transparent) are becoming more mainstream, formal peer review must be differentiated from feedback or comments posted online as a response to a preprint or published article. As a measure of validation (for correctness, quality, and other criteria such as significance, novelty, context), what elements are critical to fully constitute a post-publication peer review cycle? These terms are used as euphemisms for subscription-based content to imply difficulty in reader access to articles. Publishers often have pay-per-view or article rental options available. These words are typically seen in articles, blogs, and social media posts to add a sense of urgency. It’s important to scholarly publishers to assess whether and to what extent a “crisis” exists. Areas referred to as in crisis or broken include scholarly publishing, reproducibility, peer review, access to science (for the public and for scientists), retractions, and submission-to-publication time. These two terms are sometimes conflated. But open access now has many definitions that have evolved since it was first defined in the 2002 Budapest Initiative* as “free and unrestricted online availability,” including digital rights management. 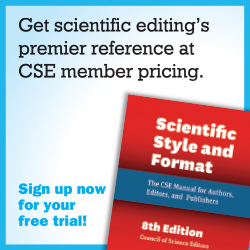 For clarity, we turn to resources such as CSE’s own Scientific Style and Format (8th edition), the AMA Manual of Style, The Chicago Manual of Style, dictionaries, copyeditors, colleagues, scholarly societies, white papers, standards organizations like COUNTER and NISO, and even Google and social media. Language and how we feel about certain words indeed do (and should) evolve. But at the same time, as leaders in scientific editing, publishing, and communications, we have a responsibility to our field to develop and uphold standards for use. What does this mean in practice? In part, we are obligated not only to understand words as they are used in context by our diverse groups of stakeholders, but we should also aim to provide clarification, to question an unusual instance of use, and to point out when the meanings of words are muddied. If you have good examples of terms that have morphed over time, have multiple interpretations, are euphemisms, or are being used out of context, please contact me at tracey.depellegrin@thegsajournals.org. We’ll feature selected words and anecdotes in the next issue of Science Editor. 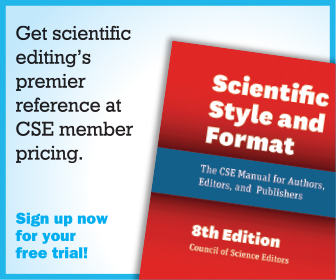 Science Editor is committed to publishing CSE’s Annual Meeting Reports (including, this year, the Short Course reports) as soon as possible, so that the content and context are still fresh. So this issue is a feast of useful highlights, whether or not you were in Philadelphia, and whatever your professional interests. Take a look at “Managing Journals in a Global Context,” “By the Numbers: Evaluation Strategies to Improve Journal Performance,” “Publishing Questions—Data-Informed Solutions,” “Taking Author Instructions to the Next Level,” “Dynamic Disruptors: A Series of Lightning Talks from Various Startups,” “Recognition for Reviewers,” and more. Now in his first term as BELS president, Thomas Gegeny discusses the nearly 25-year-old organization’s goals and details BELS examination topics. For manuscript editors, the BELS exam is worthy of serious consideration. As we head into autumn, Science Editor is still looking for new editorial board members, including columnists. Please contact me if you’re interested. We welcome contributions of individual articles relevant to our community, as well as case studies related to author outreach, business models, data, ethics, peer review, policy, social media, standards, and technology. Pitch an idea, write a story, or ask us a question!